In the endless sea of free android apps available on the market, it has become hard to find apps that are actually new or refreshing. Especially in saturated genres like the puzzle game genre. Every once in a while Thetic Blog writes a small piece about an app that comes to our attention. 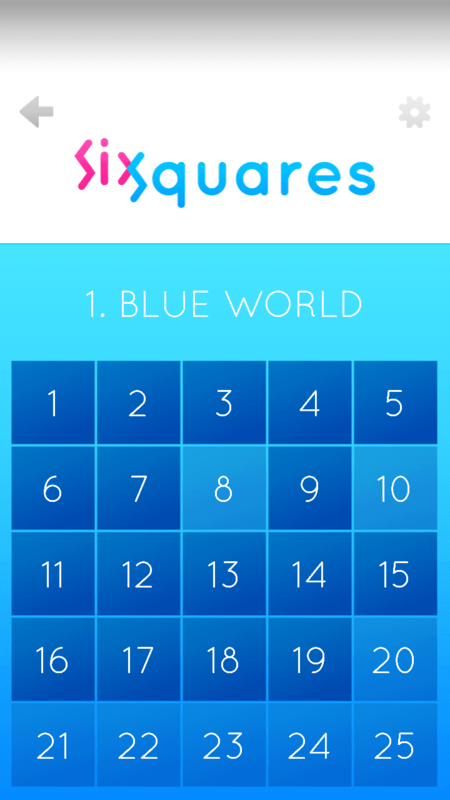 This time the app is called Sixquares, which is available for free on Google Playstore (click here to download) and it is all about getting your brain cracking. We will explain the game mechanism and list some pros and cons of the app, after that it is up to you to decide whether you want to give it a try or not. It’s not too hard to derive what the game is about from it’s name. The rules for solving a puzzle however might seem dazzling when you open the app for the first time. 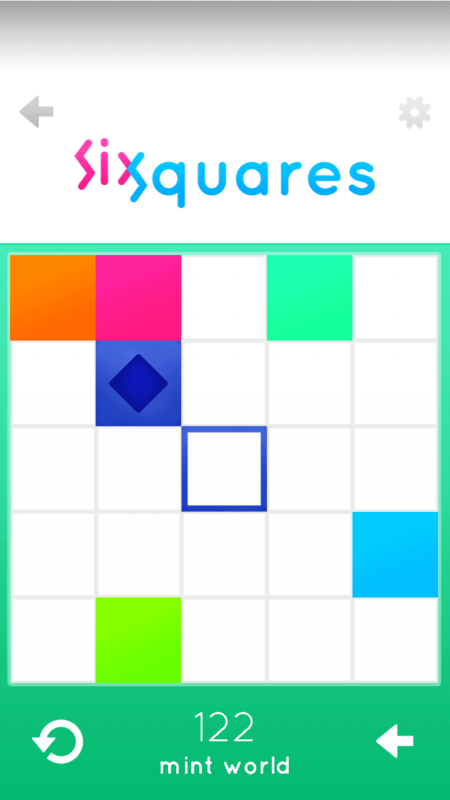 Sixquares is played on a gridded square field. There is a maximum of six squares available on that field and the goal is to get one specific block into the center. This can be achieved by sliding the blocks and although sliding might sound very familiar, this kind of sliding works in a totally different manner from other sliding puzzle games that are well known (like unblock me free, etc.). This time the blocks are not in the way and have to get out of the way, instead they have to be in the way in order to be able to move the block. ​This confusing puzzle mechanism can best be visualized as a sliding puzzle in space (even though the developers never use the word). You can only slide a block in the direction of another block, i.e. once you move a block, it keeps moving, until it is stopped by another block. Even though the game-mechanism is fun, there are always some things to improve on apps that are this new. Here’s a list of pros and cons we compiled. The game is quite unique in its genre. There are lots of free sliding puzzle games available for android, but we haven’t seen a puzzle game with this kind of concept yet other than this yet. The game is challenging. It will take some time to get a good grasp on what blocks to slide where. But even when you get the hang of it, it is still way harder than you would expect from a sliding puzzle game with just six squares. Challenging and not so frustrating to make a person close the game instantly. There’s options to undo a move in case you make the wrong move by accident, instead of having to restart the level. Supports Offline Play, meaning no Internet Connection is required to play the game. Even though the design is quite polished, the colors seemed a bit dull to us. It might seem a minor flaw, but we still thought we should mention it. For all of you quick-swipers out there: pay attention this time. The tutorial is only shown once. If you quickly click through it, eager to get started, you will find yourself struggling to get a hang of the game. This is a con as majority have habit of skipping tutorials to get started on the game quickly, hence make sure to go through the tutorial carefully as you play for the first time. All in all the game is a good way to pass your time and is a bit addicting, if you like to use your brain a little. The game is not really big as it is still in development, but you will still need quite some time to play it all the way through to the end. Some puzzles might seem ridiculously hard at first glance, but once you get that navy colored block into the center and the jazzy soundtrack starts to play once more, there will be a genuine feeling of success. Should you give it a try, feel free to leave a comment below this article. We are always interested in our readers opinions.